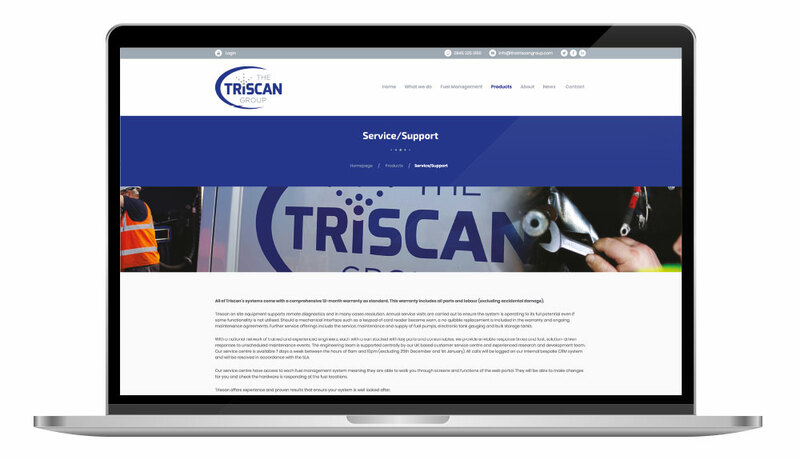 The Triscan Group, who are the UK’s largest manufacturer and supplier of fuel management systems, have launched a new website which showcases a wide range of new service and maintenance packages. The launch comes after a rapid growth period for the Group who acquired Timeplan Fuel Solutions in May 2018 creating a further increase in their already extensive customer base. In line with this growth, The Triscan Group headquarters have been fully renovated allowing a more successful manufacturing process for the in-house production and development teams. The team at Triscan is also on the increase with several new staff members being welcomed into the sales, marketing and engineering teams. Andrea Whittaker, Managing Director for the group said ‘’we strive to continually improve every aspect of our business and this includes both our on and offline presence. After being in the pipeline for the past few months, the arrival of the new sites will bring a wider, industry relevant, news and content offering as well as user-friendly navigation. The new service packages will also be on display offering a wide variety of product support packages including ad hoc repairs, tank services and electrical installations.